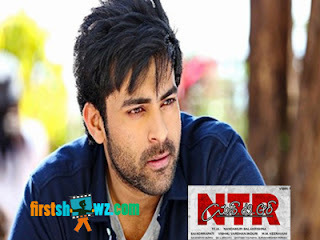 Home / News / Varun Tej says No to Chiranjeevi in NTR? Varun Tej says No to Chiranjeevi in NTR? Did Varun Tej say No to play Chiranjeevi's role in NTR Biopic? Yes say gossipmongers. If the buzz is to be believed, director Krish has offered his Kanche hero Varun Tej to enact Chiranjeevi in Bala Krishna starrer NTR Biopic. Varun Tej however rejected Krish's offer to play Mega Star role, and now the director is likely to emit entire Chiranjeevi's role in the Biopic. It is known fact that when NTR has shifted to politics in his last years, Chiranjeevi was one of the top stars among his contemporaries. There are reports that Rana will be seen as Nara Chandrababu Naidu, Sumanth as ANR, Mahesh Babu as Super Star Krishna, Rakul Preet as Sridevi and Keerthy Suresh in the role of Savitri. But with Varun Tej turning down the offer, Krish is likely to skip Chiranjeevi's role in the film.